We are starting the BM#59 and I will be sharing some baked vegetable dishes. I was interested in this concept some months back and ever since wanted to make these at home. Then I ate at one of the newest restaurant where one of the starters was this cheesy potato fries. It was so sinful and delicious that none of us could stop and ordered another batch. 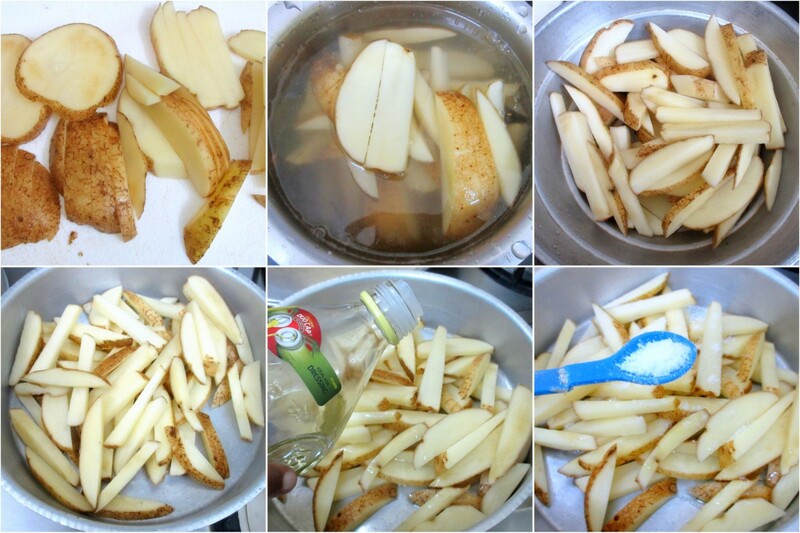 I realised that it was deep fried french fries. However I wanted to bake them and wanted to use the cheese as well. We have some respite from rains since yesterday. Though whole of yesterday there was no power. It came back late night and I didn’t have the patience to sit down. The whole of today has just passed away. With kids being at home since Nov 7th, there has been constant request for interesting snacks to be made. 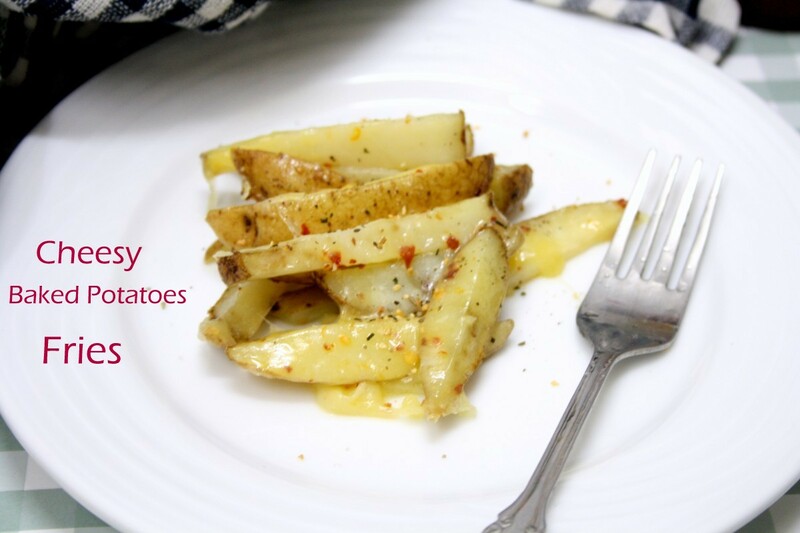 One of those nights last week when Konda was so fed up, I decided to lift her mood with these cheesy potatoes. She was literally in heaven eating this. Later I saw the same reaction from Peddu. It was such a total hit with both of them. I felt the baked potatoes were not so well cooked as you normally have those fried fries. I baked this totally for 35 mins at 200C. Anyway next time I will try with deep fried fries as well. Enjoy guys! 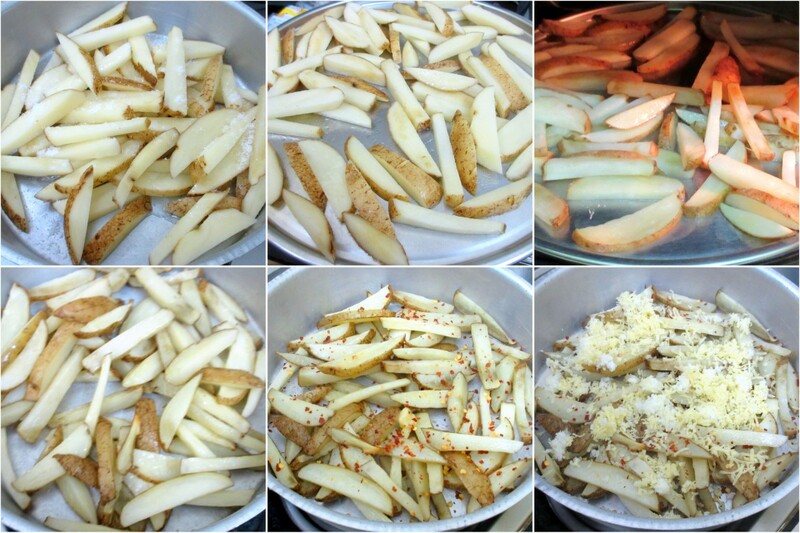 In the baking tray, spread the fries and sprinkle olive oil and salt. Pre heat the oven at 200 C.
Bake at 200 for 10 mins. Remove and sprinkle salt and red chilies. Bake at 200 for 10 mins again. Sprinkle italian seasoning and red chilies. Bake for 10 mins. Remove and sprinkle grated cheese and extra red chilies. Bake for 5 mins. 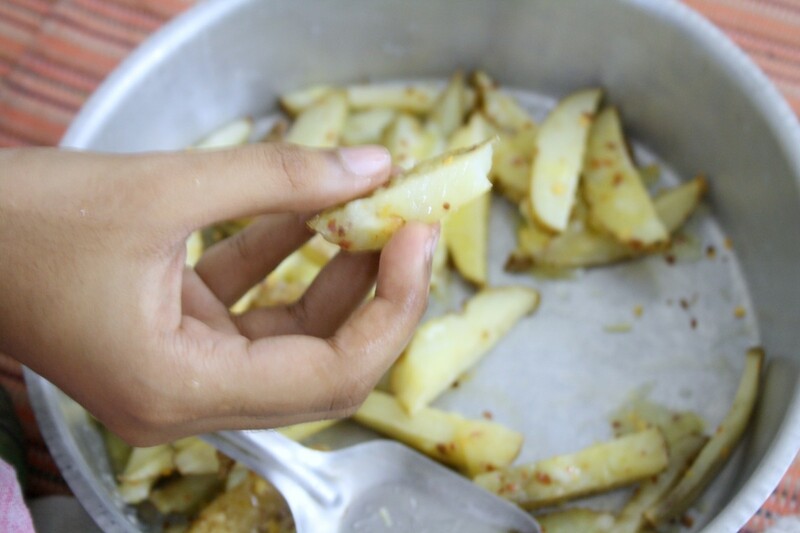 Potato fries are always welcome and with cheese they looks addictive. 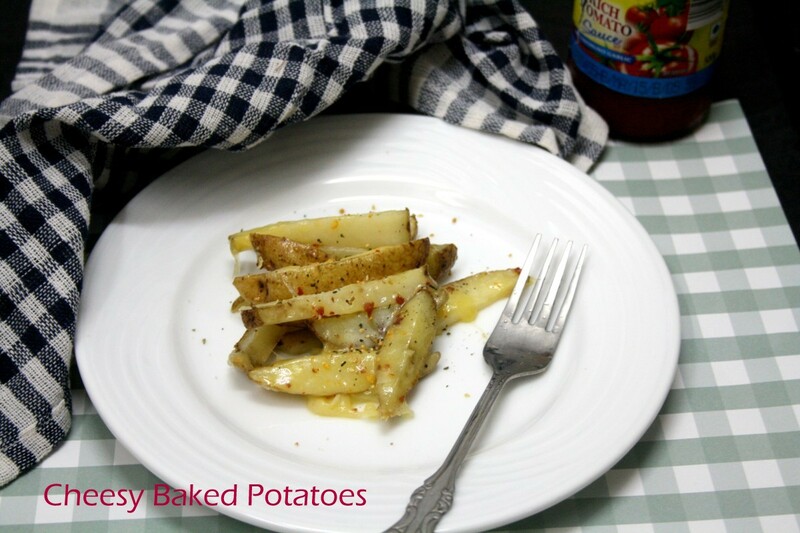 Kids will definitely go crazy, so tempting and dangerously addictive cheesy baked fries. 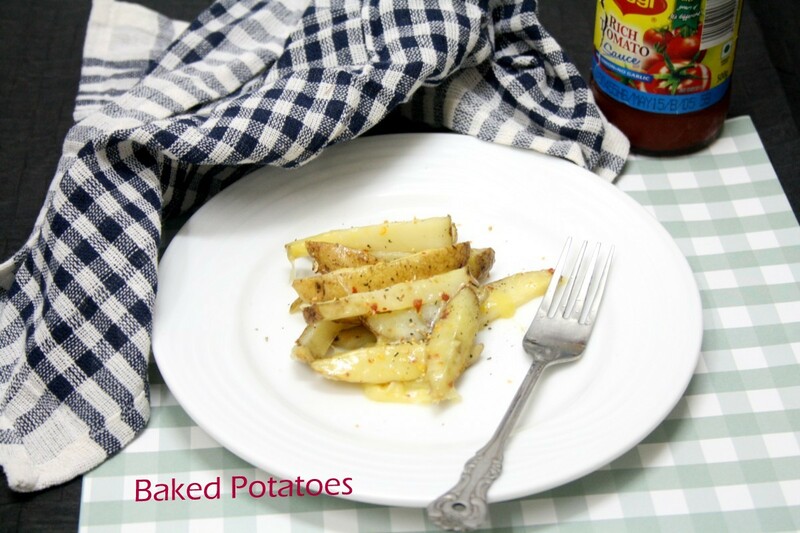 Soooo yummy, those cheesy potatoes look very addictive and delicious. Potato and cheese, how can they go wrong..Looks delicious.